Parisian Glow Reviews: Does It Provide All The Necessary Benefits? Parisian Glow Cream is marketed as an anti-aging skincare treatment, which actually builds collagen and gives you the youthful glow you’ve been searching for, without drying side effects commonly found in anti-aging skincare. Many women would go to extreme lengths to get their youthful, glowing skin back. Although there are plenty of options out there, many of them are very pricey and even painful. Parisian Glow Anti-Aging Cream claims that it can give you the glow you’ve been looking for, without the pain from needles or emptying your wallet. With continued use, this anti-aging treatment will address the look of fine lines, wrinkles, uneven skin, and will even protect it from environmental aggressors. 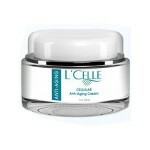 For best results, apply Parisian Glow Anti-Aging Cream to your cleansed, toned skin. You may use this product up to two times per day, during your morning and evening skincare routines. As with any anti-aging regimen, you should consider implementing a broad spectrum SPF into your daily routine for optimum results. 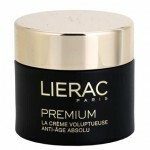 Parisian Glow Anti-Aging Cream is available on Parisian Glow’s own website for a free trial. Price information will become available after you provide them with your personal contact information. 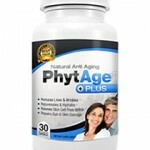 Peptides: These ingredients promote natural cell turnover and collagen production. Collagen: This ingredient plumps up lines and wrinkles, and creates an overall smoother, more youthful look. 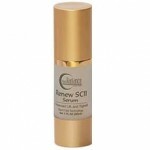 This anti-aging cream rebuilds collagen production in the skin. 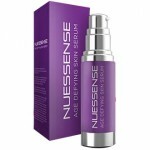 This product addresses common signs of aging as it hydrates the skin. 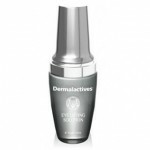 Antioxidants in this product protect the skin against environmental aggressors. Parisian Glow is not a well-known skincare brand in the beauty industry. There is very little information regarding this product’s ingredient list. There are very few reviews from actual customers on any third party websites. Parisian Glow Anti-Aging Cream claims that it can resurface your skin, address the look of fine lines, and hydrate the skin with continued use. This may sound like the perfect multi-tasking product to add to your anti-aging routine, but there are a few issues you should consider before purchasing. A company that is not well known in the skin care industry manufactures this product. Normally, this would be okay if there were real customer reviews attached, but there are not. Most reviews appear to be manipulated, and there are none to be found on any third party websites. This product also appears to come with a free trial; however, this isn’t necessarily a positive thing. You shouldn’t have to provide personal information before finding out how much you’re going to eventually pay for a product. We’d recommend continuing your search for a product that’s available on a reputable website. 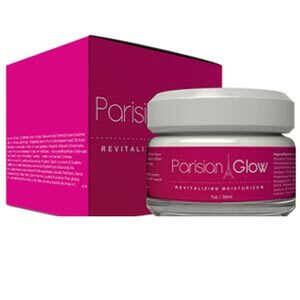 Parisian Glow Anti-Aging Cream is available on Parisian Glow’s own website for a free trial. Unless you return this product during the free trial period, it is unclear whether or not you will receive your money back. Free trial periods are often tricky to navigate as well. Often times companies will refuse to give you your money back and will even charge on a monthly basis without your permission. As we age the composition, texture and appearance of our skin changes. Signs of skin aging include wrinkles, fine lines, loss of moisture, uneven tone, and dull, tired-looking skin. 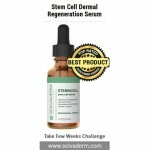 There are countless anti-wrinkle serum on the market promising to make skin look and feel younger. 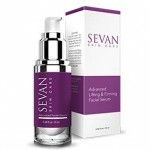 Many anti-wrinkle serum promise everything short of a facelift or to provide the much sought after "fountain of youth". In reality most are just moisturizers marketed as anti-aging products.